There are a variety of different items that are absolutely essential for success in today’s society. One of these happens to be a vehicle. Without a vehicle, most individuals would have a difficult time accessing their job site, grocery store and other necessary amenities. Of course, owning a vehicle comes with an array of responsibilities. With this in mind, you should take a few extra steps to better protect your vehicle from intrusion and theft. The best way to do this is by purchasing and installing the best car alarm with remote start functionality. Within this comprehensive guide, you’ll learn all you need to know to make the right decision for your particular situation. When attempting to purchase one of these devices, you will find that there are many and each is unique. With this in mind, you will need to explore all crucial aspects of each, before making your decision. Below, some of these factors will be broken down for your consideration. Alarm Type – First and foremost, you should recognize that there are two different types of car alarms, passive and active. Passive alarms will activate automatically, when you shut off your car’s engine and all doors have been closed. Active alarms actually require you to arm the system manually. Both can be effective, but if you’re a forgetful individual, you should opt for a passive system. Range – Range is very important, regardless of the type of system you choose. The range is fairly straightforward and will tell you exactly how far away you can use the remote. A longer range is always better and will ensure that you’re never left stranded. Automatic Rearm – Each different alarm system will be equipped with a variety of different functions. Some can automatically rearm themselves and lock the doors, after a period of inactivity. This feature can be exceptionally helpful, if you’re forgetful, since it’ll automatically lock the doors and arm the alarm, without your assistance. Ignition Controlled Locks – Some of these systems will automatically lock the vehicle’s doors, when the ignition is switched on. This can be a very helpful tool and will prevent carjackers from commandeering your vehicle. Trunk Opener – Since the majority of these alarms work with a keyless entry system, it is also possible to use them to open your trunk. Although this isn’t a necessity for protecting your investment, it can offer you with a very convenient way to open your trunk. Car Finder – Some of these systems are equipped with a car finder function. By pushing a button on your remote, you will be able to trigger your vehicle’s alarm, so that you can identify your vehicle’s location. Again, this isn’t necessarily a requirement, but it can be helpful! If you determine that you will use this function frequently, you should make sure that you system offers it! Remote Start – Remote start can be a very cool function, which will allow you to start your vehicle from afar. This will give you the ability to warm up your vehicle, without going outside on a cold day. If this option is deemed necessary, you should make sure that you choose a system that allows it. All of the above factors are exceptionally important and should not be ignored. Below, you will be able to find some of the best car alarms, which are equipped with remote start compatibility. With the ever-increasing vehicle thefts, it is crucial to have a security system installed. Many of the newer vehicles that are coming off of the assembly line are equipped with a build-in security alarm. If you own an older vehicle or just want to upgrade your current security system, you should consider the Viper 5706-V. Below, you will discover everything that you need to know about this product. The great benefit of having this particular system installed in your vehicle is the remote option. This feature will allow you the convenience of activating the system, without having to be inside of the vehicle. The remote is equipped with a rechargeable battery, which will save you money. The built-in micro USB port is actually a charging port, so you can recharge the remote from your laptop or personal computer. The remote car starter is included in this package deal, so you can have it installed into your vehicle at the same time as the security system. This will definitely offer you convenience, because you can start your vehicle up to a mile away, this will allow you to cool or heat your car, before getting in it. 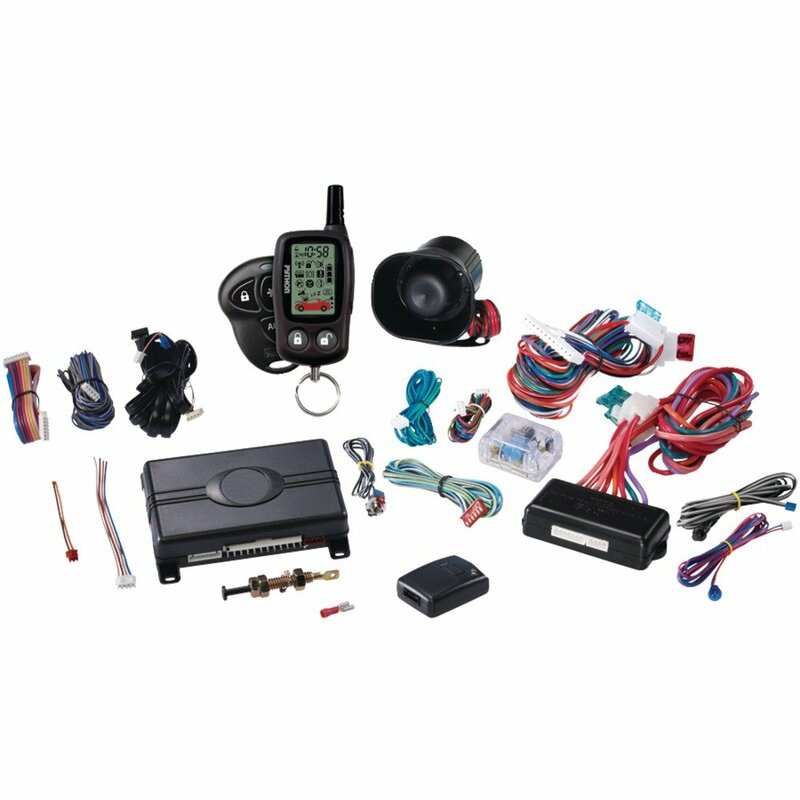 The Viper 5706-V comes with everything that you need to install the system into your vehicle. This is a universal security and start up system, which is designed to fit into any make or model vehicle. Although a lot of people desire a car alarm and a remote car starter, they don’t want to pay enormously for one. You shouldn’t have to and you don’t need to with the AutoPage C3-RS730LCD alarm. This car alarm system is very affordable and comes with an array of beneficial features - making it important for auto security and safety. This system is capable of transmitting across 4 channels and uses a two-way paging transceiver. It transmits over an AM frequency at 433.9 megahertz. In order to provide you with increased range, the system comes with a window mount super extender. This particular system does a wonderful job keeping your vehicle safe. It’ll sound stage-1 alarm, if someone smacks into your vehicle or opens your hood, door or trunk. It also has a stage-2 alarm, which will alert you, if someone slams into your vehicle at a high velocity. You will need plenty of AAA batteries, in order to keep your remote control powered. One of the best aspects of all is that the alarm system doesn’t cause a lot of false alarms. The LCD screen is very cool and provides you with 50% more viewing space. More pros and cons can be found below. 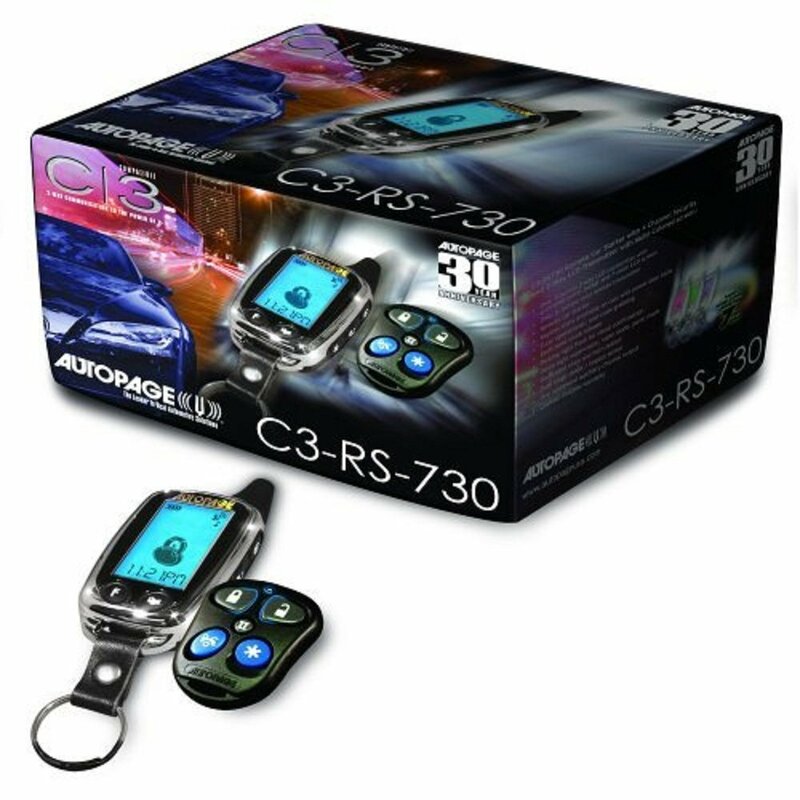 Overall, there is a lot to like about the AutoPage C3-RS730LCD Alarm and Remote Starter. Although the setup is a little difficult and the included instructions could be better, the system works exceptionally well, once it is up and running. 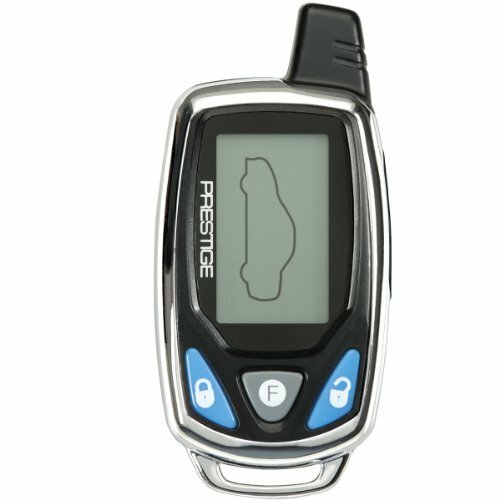 The range is decent, the alarm is efficient and it’ll protect your vehicle thoroughly. For the price, this alarm system is well worth it! If you are looking to cut your car insurance by 10-20%, you should consider installing a security system into it. Many insurance providers will offer discounts to customers that have vehicles with security systems. You would definitely be surprised how much safer your vehicle will be with the Viper 4904V, because many car thieves are deterred from activating the alarm and getting caught by the police. This security system comes with a remote start, which will offer you an abundance of advantages. The vehicle will continue to run for up to 15 minutes, before it will automatically shut off. You will be able to start your vehicle, without having to get inside of it. This is a universal system, which is compatible with every make and model, even a standard or stick shift. The remote is equipped with a LED display screen, so you can monitor everything that is happening around it. The remote is very compact in size and can be placed in your pocket for convenient access. If you are searching for a dependable security and start up system, you should look no further than the Viper 5904V. It comes with everything that you will need for installation, but you should hire a professional to install it, because the installation process is very tedious and timely. If you’re looking for an efficient car alarm system, which includes two different remote controls, you’ll definitely want to check out the Viper 5204V. This specific system is very versatile, since it is equipped with its own CPU, which allows for direct digital connection to almost any new vehicle. The device allows the user to check their vehicle’s temperature from afar with the Ghost Lights. The D2D Serial Data Port offers plug-and-play installation, when used with other XPRESSKIT interfaces. This specific security system comes with a 5-button 2-way remote, as well as a 5-button 2-way remote. Once you’ve gotten this vehicle up and running, you will be able to start your vehicle from a mile away! After you’ve pushed the auto-start button, your vehicle’s engine will begin running within a matter of seconds. The system will keep the doors locked, until you’ve unlocked them manual. This helps to ensure that nobody runs off in your vehicle, while you wait for it to warm up. The keychain remotes are very small, which makes them conveniently easy to carry about. 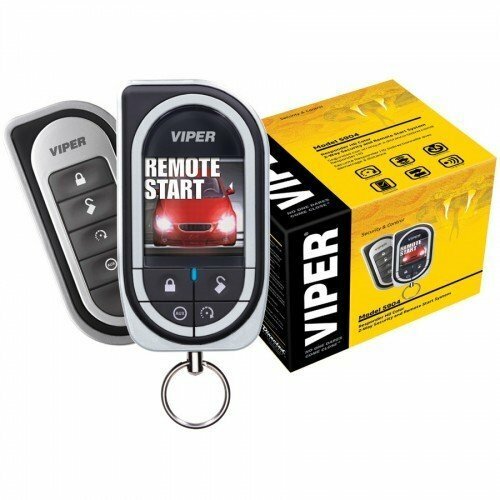 When it comes down to it, the Viper 5204V is a very impressive and affordable car alarm and remote start system. The installation is conveniently easy, it comes with 2 remotes and the range is very good. As long as you take extra special care to protect the remote controls, this system is great and well worth its price tag! If you’re looking for a highly innovative security and remote start system for your vehicle, you’ll definitely want to check out the Inc 5906P Responder SST one from Directed Electronics. This is a 2-way system, which comes with an HD color 2-way remote and a 5-button 1 way remote. The system is capable of delivering a range of 1 mile. This guarantees that you’ll be able to use it a great distance away. You can also use the remote to control your vehicle’s dome light. Although this one might be a little more expensive, it does come with a lifetime warranty, which is thoroughly impressive. You’ll need to use 12V batteries to keep the remote running properly. The system’s user interface is very easy to use and gives you the ability to control many aspects of your vehicle’s alarm and run time. For instance, you can use this system to set your vehicle to run for 40 minutes, with a 30 second delay, if you wish to allow it to warm up properly. More pros and cons can be found below. 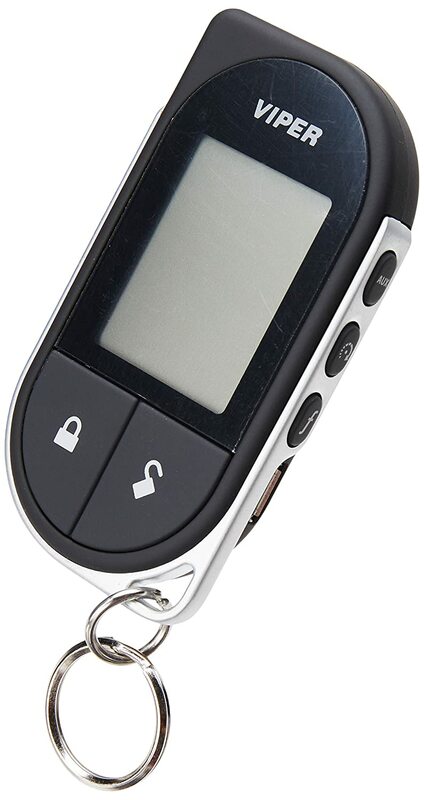 Overall, the 5906P Security and Remote Start System is great and offers many convenient functions. The range is impressive and the system is very reliable. If you’re willing to spend more, the lifetime warranty makes this one well worth exploring further! Many security systems do not comes with the keyless entry module, which means that it has to be purchased separately, if you are looking for this type of entry option. 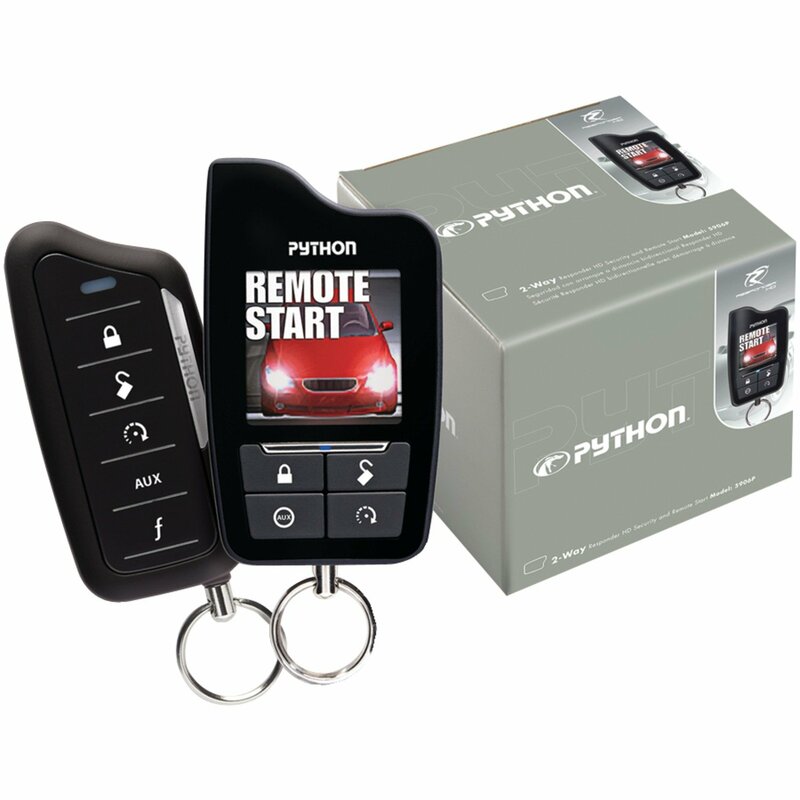 The Python 5303P comes with a keyless entry module, so you can have it installed into your vehicle, along with the security system. This will save you a bit of money in the long run. This is a remote controlled system, so you can make alterations to the security system and lock/unlock your car doors, without a key. You will also have the option of selecting the inputs and sensors that you want to be activated or bypassed, which is great if you do not want them all to be functioning at the same time. You will receive two remotes with your purchase. One is equipped with a LED screen, which will display a variety of icons, so you can make quick and easy adjustments, while monitoring your vehicle. 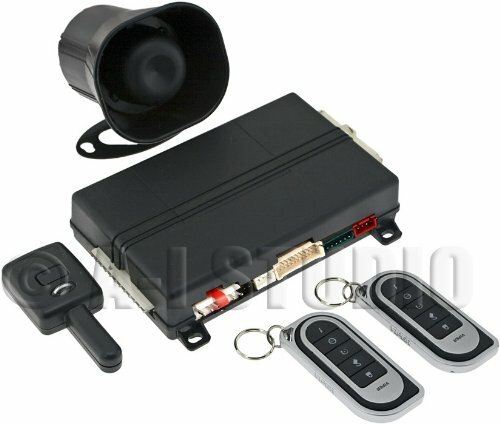 If you are looking for an affordable security and keyless entry system, you should definitely keep the Python 5303P on your list of prospects. Many consumers are looking for a much more affordable alarm system, with remote start. This is exactly what you’ll get with the Audiovox APS996C. The system comes with a single 5-button 2-way LCD remote, as well as a 5-button 1-way remote. In order to provide you with improved range, the system comes with a glass-mounted antenna. Despite the low price tag, this system is protected with an impressive limited lifetime warranty! The system is capable of keeping you well aware of your vehicle’s status, at all times. You can check the LCD remote and find out precisely what is happening. Although the system can experience a few false alarms, they’re not excessive. More pros and cons will be provided below. For the price, the Audiovox APS997C is an excellent device. It is incredibly affordable and comes with a lifetime warranty! Also, it is easy to install, efficient and serves its purpose excellent. Many individuals that own older vehicles should consider installing a security alarm into it. Not only will the system deter car thieves from attempting to steal your vehicle, but auto insurance providers are more than willing to offer discounts for these devices. All in all, you will find the ﻿Viper 5901 to be very reliable and convenient, while saving yourself some money on your car insurance. You will receive two remotes with this purchase, which will offer you much convenience. Not only will it start your vehicle from a specified range, but it will also roll windows up and down. Many individuals are searching for ways to warm/cool their vehicle, before they take off to work and this is definitely one way to do that. Make sure that you take the time to do a bit of research on the installation process, before you actually tackle the DIY task. You may need to purchase additional modules to make Viper 5901 compatible with your vehicle.